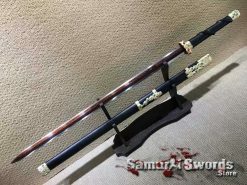 T10 Folded Clay Tempered Steel Chinese Jian with Zinc fitting. 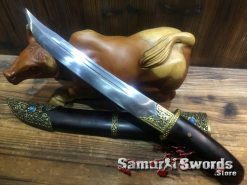 the blade is full tang, featuring Ebony Wood Scabbard. 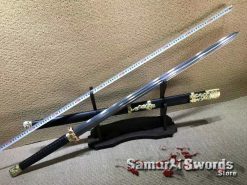 Have you decided to finally start collecting your own set of functional swords? 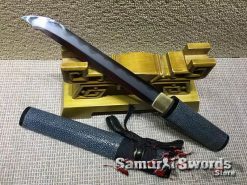 Do you want to start with something else than the usual Japanese blades? 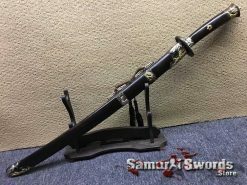 If so, then youll definitely appreciate this Chinese jian with an ebony wood scabbard. You can use this immediately for practice cutting and training. 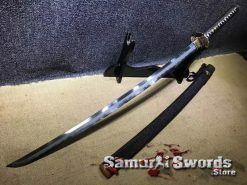 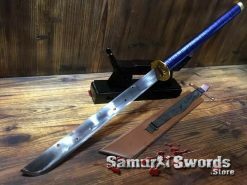 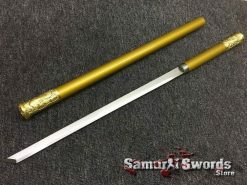 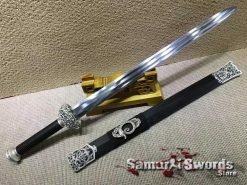 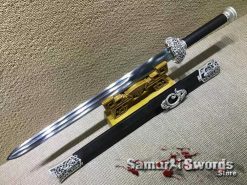 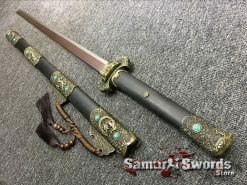 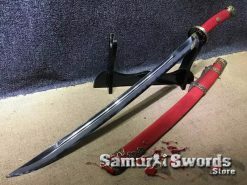 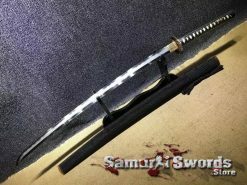 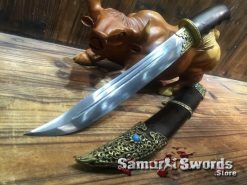 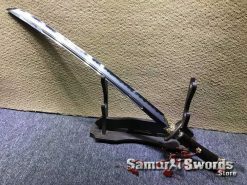 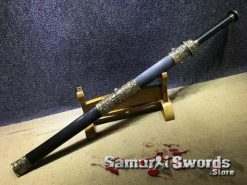 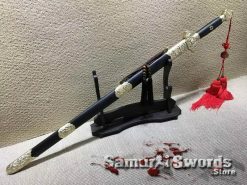 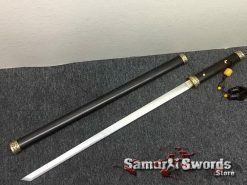 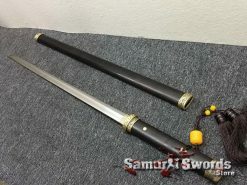 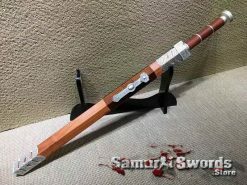 It is a durable and strong sword that is fully functional upon purchase. 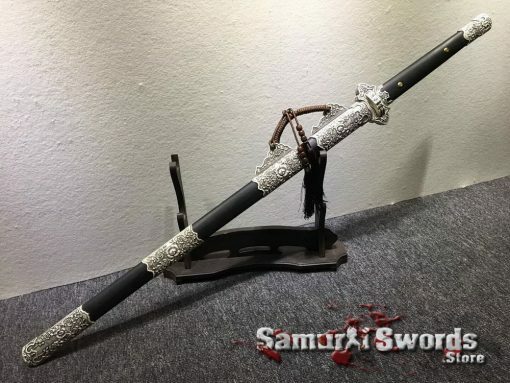 This 2.28 kilogram Chinese jian has a blade measuring 70 centimeters long and 3.3 centimeters wide. It is made from T10 steel. This specific type of steel is known for its toughness. It is also better compared to carbon steel in terms of sturdiness and stability. 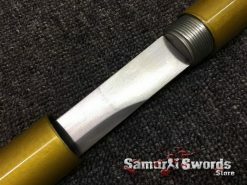 T10 also has 1% carbon content and an HRC hardness of about 62. 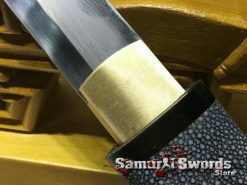 Folding gives this jian subtle grains on its blades surface. 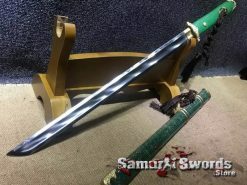 It does not necessarily compromise the strength, performance, and hardness of the blade. 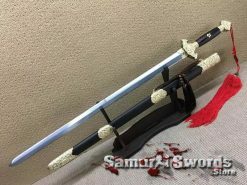 The grains only adds to the swords artistic value and charm. 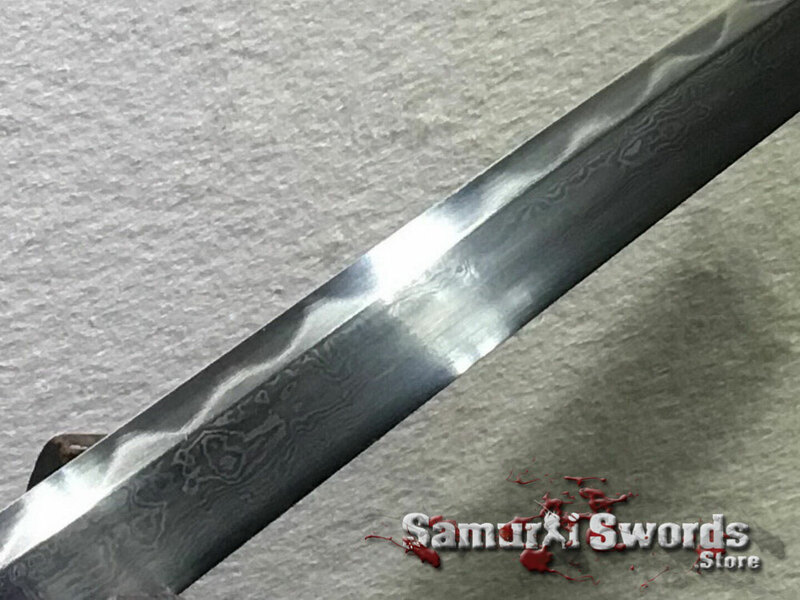 Clay tempering also gives this sword a soft spine and hard edge. 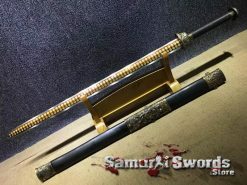 This is to provide more resilience and to maintain its sharpness. 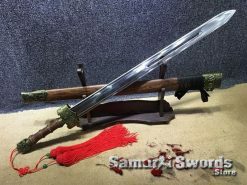 This Chinese jian also comes with a couple of fittings. 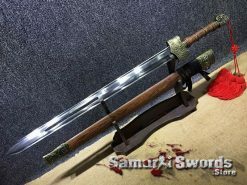 These include the handguard, hilt collar, and the pommel. 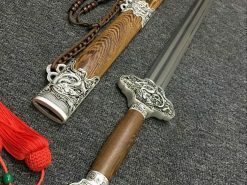 All of these are made from zinc. 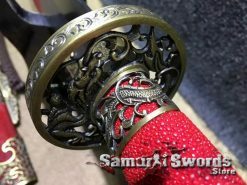 The hilt collar is a ferrule. It covers the handles opening. 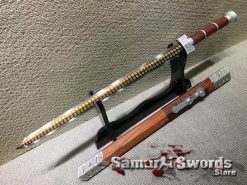 For the pommel, it is made specifically for balance, but was designed originally to prevent the jian from slipping off your grip. 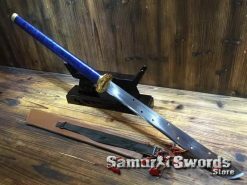 Generally, the pommel is also the large fitting right at the top of the grip. 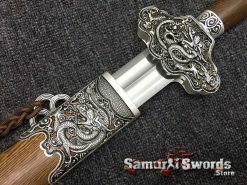 Lastly, the hand guard or hilt. It safeguards your hand during practice, avoiding injuries from an opposing blade. 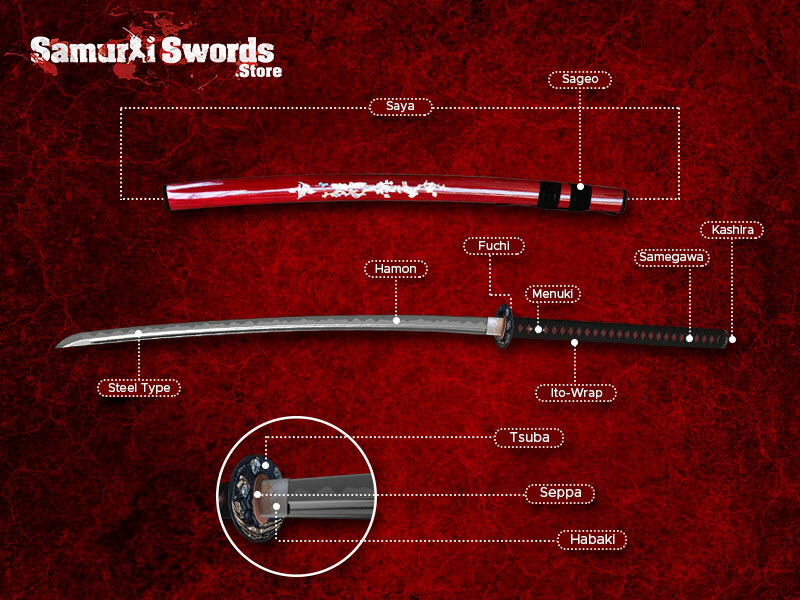 Additionally, its grip measures 32 centimeters, allowing you to properly grip the sword with both hands. 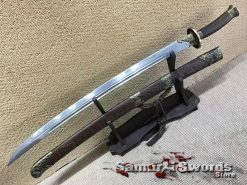 This sword is also fully sharpened, making it a functional piece. 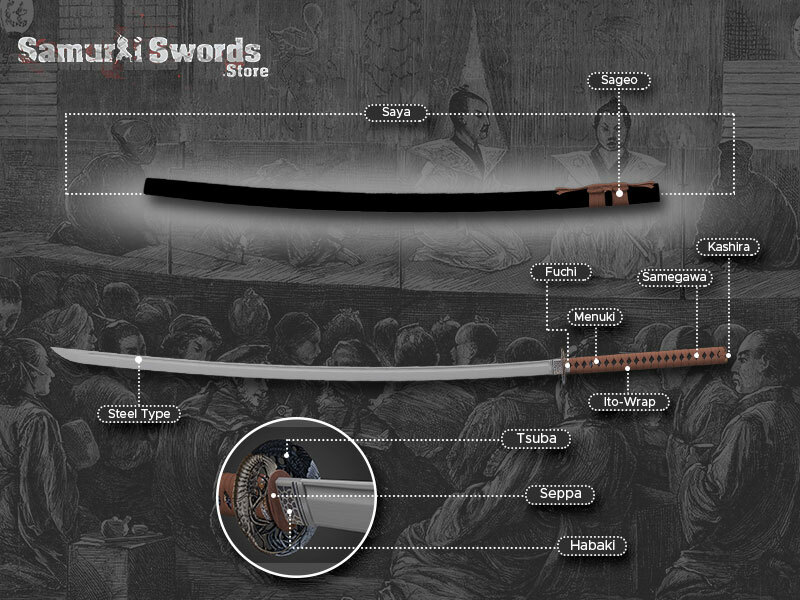 With that, it can also handle all the rigors of real-time training in the dojo. 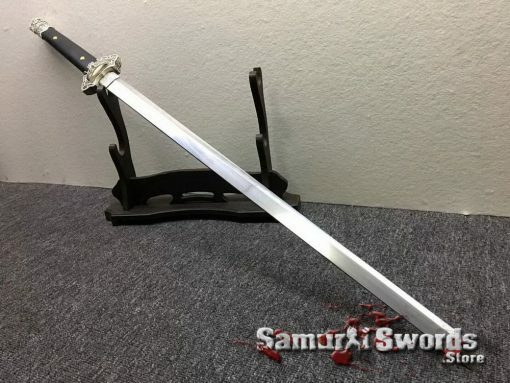 It also goes for practice cutting in your backyard. 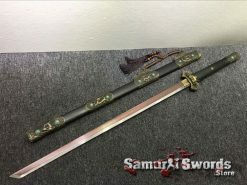 Since the sword is also a full tang, this means that its blade goes all the way towards the entire length of the handle. 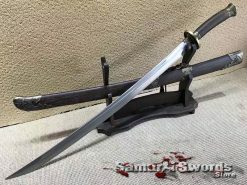 It then becomes one solid piece of metal. 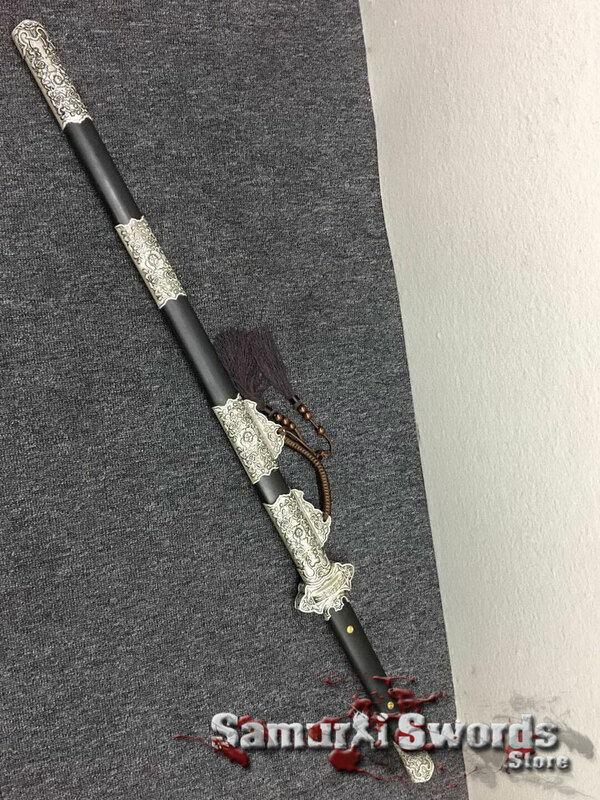 For added beauty and protection, an ebony wood scabbard accompanies this Chinese jian. 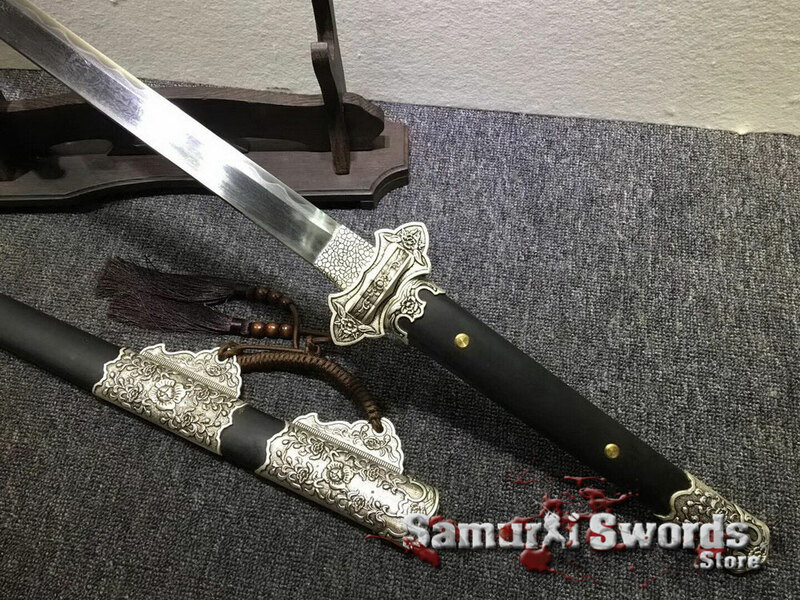 It is made from ebony wood that adds more protection to the blade. 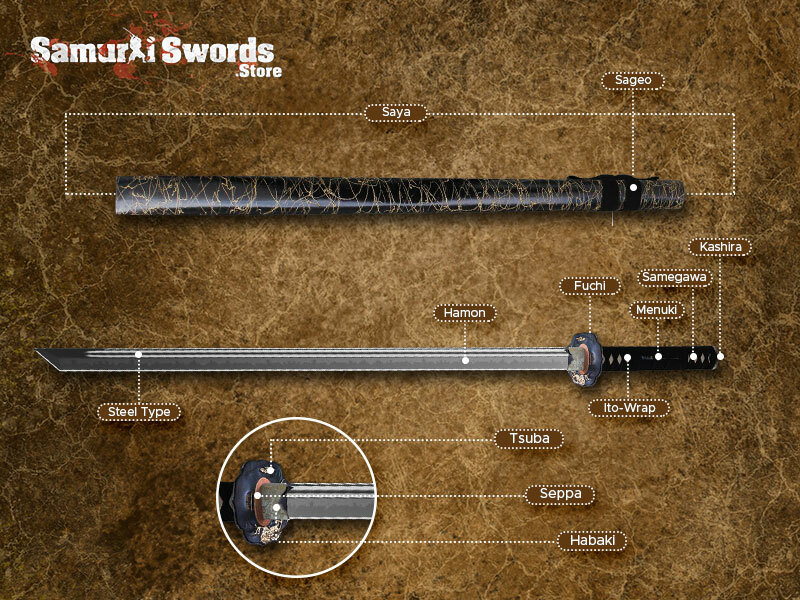 The scabbard acts as a sheath to the sword, safeguarding the blade when its kept for display. 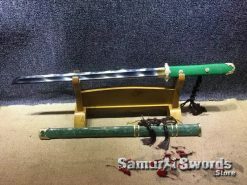 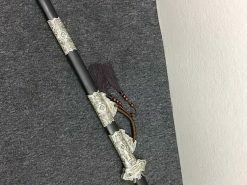 There is also a silk sword bag that can be used for carrying the sword.